In its research procedures, modern literary science more and more often studies literary phenomena from the readers' point of view, even in the case of classical works of national literature. Its topics include the reader's understanding, experiencing and evaluating of a text and it uses quantitative as well as qualitative research methods, together with empirical tests. Such approaches are particularly important for the appropriate covering of literature in elementary and secondary schools. 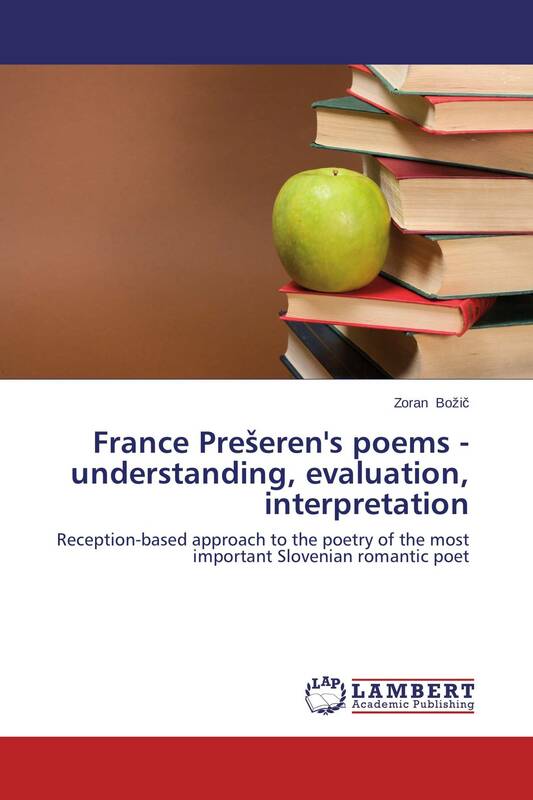 This book presents a reception-related study of the poetry of France Prešeren, the most important Slovenian romantic poet. Its focus is on didactic means that can improve the understanding of demanding classical poetry, on differences between the evaluations of literary historians and secondary school students as well as on the influence of censorship on the contents and message of a literary work. It is intended for scientists, students of literature and secondary school literature teachers.